And that lets you focus on your business. 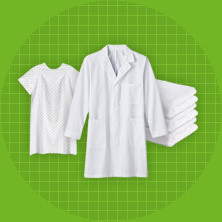 At New System, we take perfectly pressed and laundered items to a whole new level—helping your daily operations run smoother than ever with our state-of-the-art industrial laundry and rental service. 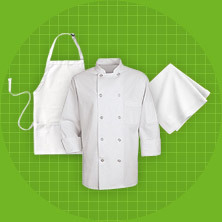 Discover our commercial laundry and rental services for the restaurant and healthcare industries. Discover our innovative approach to laundry services. Learn about our focus on sustainable laundry solutions. Explore how we track and maintain your total inventory. New System Laundry is a fourth-generation, family-owned linen, uniform, and laundry solution focused on bringing top service and quality to the Washington and Oregon communities we serve. Our innovation puts us in an elite category. We use Radio Frequency ID (RFID) tags to stay organized and use the latest commercial laundry technologies to stay economical, efficient, and environmentally friendly!